It was 1976, the first day of my junior year in high school and my first day at a new school. My mom was dropping me off in front of the school and just as I am about to shut the door my mom hits me with one of her old sayings, “you are who your friends are.” She was waiting for me to respond but I was now a junior in high school and I was hip to her game. That’s what she wanted me to do. She wanted me to ask what are you talking about so she could give me one of her little mini-lectures. I wasn’t going to bite. I shouted, “love you mom” and headed toward the school. Unfortunately her words kept floating around in my head all day long. That’s the way all of the best old sayings are they stick in your head whether you want them to or not. This one was a doozy. Eventually I decided this old saying meant I would have the same reputation as the friends I decide to hang out with, and therefore, at least in the minds of other people I would be the same as the people I hung out with. Thinking I had it worked out I told my mom and she said I had part of it right and then she explained that not only will you have the same reputation as your friends but in most cases you will make the same choices. This is of course the kind of old people saying that young people hate. Young people want to believe they can run with any group they want but maintain their separate identity and more importantly make their own decisions. I didn’t care much for this saying and my mother had other sayings that were also designed it seemed to limit my freedom to associate with other people. Have you ever heard someone say “one bad apple can spoil the whole bunch.” Again, according to my mother’s way of thinking this means if there is one bad person in my peer group that could destroy all of us. Man that is harsh stuff and hard for a teenager to accept. My school was teaching tolerance and saying treat everyone the same, don’t be prejudice but my mama was saying “guard your heart.” That one she drug straight out of the Bible, now that is really getting old school. This really is one of the more difficult things we have to learn in life. Freedom of association is after all enshrined in the first amendment of the Bill of Rights and some of these old sayings have been used as a means of maintaining inappropriate class or racial barriers. On the other hand birds of a feather do in deed flock together. Deciding who to be friends with is not easy and sometimes we are not in a position to pick our friends. Sometimes events seem to conspire to place us together with other people. I think all of these sayings serve to remind us that we are responsible for making positive decisions about our associations. We can be tolerant and open minded but we must also learn to say no and when to get up and leave. Not easy for an adult and perhaps impossible for a teen. The best we can probably hope for is to make our children stop and think about what they are doing and make deliberate and thoughtful decisions about whom they associate and under what circumstances. 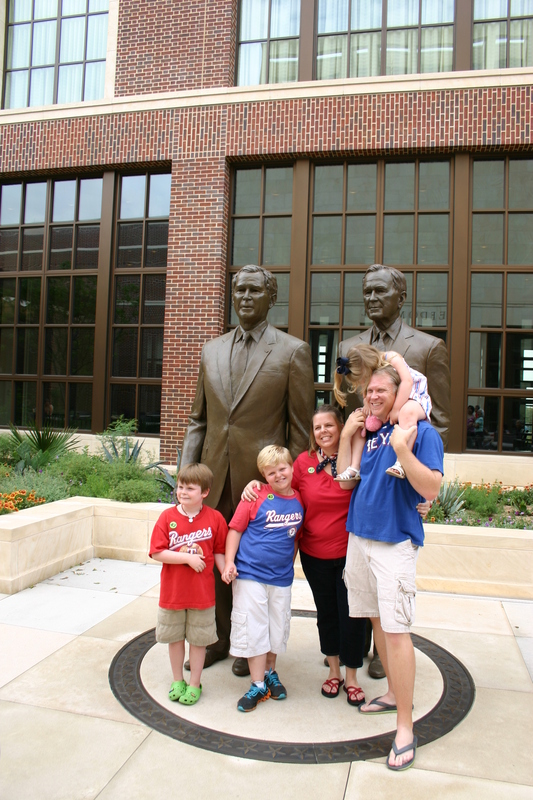 The picture above is of my cousin, Heather Armand Stebbin’s and her family. I love all my cousins and their families but I get a special joy watching the Stebbins. I grew up in a family of two boys and a girl with very similar age differences. Watching her family brings back so many memories of my childhood. With three young children in the house there is constant motion. Just getting a picture with everyone happy and looking at the camera can be a challenge. Heather and her husband Ted always take whatever happens in stride. This quote struck a nerve with Heather as it did with my wife who immediately responded. Within a few minutes a number of other young mothers also expressed how moved they were by this quote and more importantly the reality of the very short time they have with their children. Now my Papaw Warford had his own way of teaching this same lesson to my mother and other young parents. His words lacked the elegance of Jen Haymaker’s but he could always make his point. With a soft grin and a wink of his eye, Papaw would tell young parents “there is no rewind on that movie.” He encouraged them to make the time to invest themselves in their children and to enjoy every minute of their childhood. 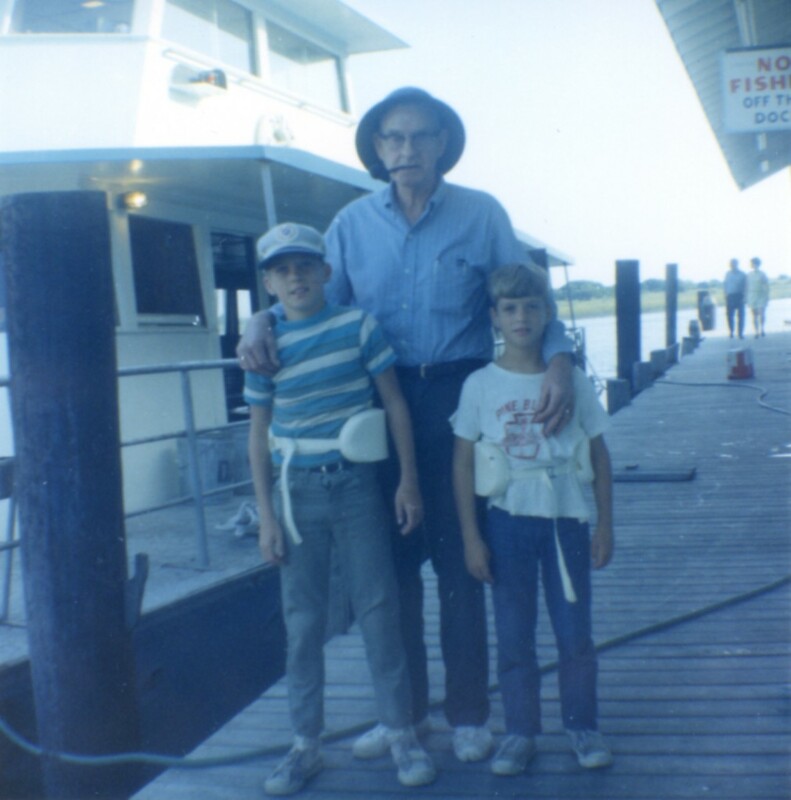 From L to R Lloyd Warford (me), Papaw Elmer Warford and David Warford (brother) Taken in 1968 after a deep sea fishing trip off the Coast of North Carolina on a boat called the Danco. When I was a kid and I would say, “Papaw, I am hungry,” my Papaw would say “I have seen whole families like that.” My Papaw was a walking encyclopedia of old sayings and I love most of them but when I was a kid I never like this one very much. He used it all the time. Papaw I’m thirsty. “I have seen whole families like that.” Papaw I need some money. “I have seen whole families like that.” Papaw I need a new fishing pole. “I have seen whole families like that.” This little old saying was the ultimate kid block. That saying was my Papaw’s way of telling you that you didn’t really need that and you can make do without it. He was not being unkind; he never had much money and he wanted us kids to understand the difference in wants and needs. If Papaw got you a Safeway soda water and a moon pie for a fishing trip it was a big deal. Most of the time before you got your moon pie and a trip to the pond there was work to be done and my Papaw never worried about child labor laws. We built fence, plowed fields, fed hogs, bailed hay and so on and so forth. Here is the thing; every one of my Papaw’s grandkids will tell you that Papaw Warford spoiled all of us rotten. He spoiled us with his time, his attention and his unwavering support. When it came to his grandkids Papaw Warford was the most easygoing man I have ever known. It didn’t matter what you did Papaw was okay with it as long as you were doing the best you could. If the field was plowed a little crooked he wasn’t worried about it. I remember looking at a field I had plowed one time and it was a mess. All Papaw said was “Lloyd that lower end of the field is a little catawampus but I think we can make it work.” On another occasion one of my cousins, Shane Warford, ran the tractor into a row of fence. Papaw said “Shane, you need to be more careful next time” and that was the end of it. There was fence to repair and nothing else needed to be said. I now have an fourteen year old son, Noah. Of all of my Papaw’s sayings the one I hear coming out of my mouth the most is “I have seen whole families like that.” I don’t think Noah appreciates that saying any more than I did when I was a kid but I know he will someday when he has a son of his own. This picture was taken in the summer of 1963 at our home in Star City Arkansas. My little brother, David, on the right, has somehow managed to get himself cover in mud. That is me on the left and as you can see I am still pretty clean. For years I have been accused of somehow getting David muddy without getting myself muddy. Nobody knows how a four year old might have pulled this off but there is a generally held belief in my family that the grin on my face is strong circumstantial evidence that I was responsible. I don’t know for sure but this may have been the day I first heard my mom say that “the trouble with trouble is it starts out like fun.” I heard her say that at least once a week when I was growing up. My brother and I were always into something and when she got old enough my younger sister was right there with us. One thing I can say about my childhood is we had fun, and yes, we often ended up in one kind of trouble or another. Fortunately the trouble we got into was usually the kind you could wash off. That is important. The saying “the trouble with trouble is it starts out like fun” applies to all sorts of behaviors with drastically different consequences. It certainly applies to little boys and mud holes but it also applies to many more dangerous behaviors such as driving too fast, drinking excessively, and inappropriate relationships. The list of dangerous behaviors that seem fun at first but can quickly go bad is endless. We are all going to make mistakes but it is important we avoid those mistakes that cannot be undone. The goal is to teach our kids to measure risk and to know when it is time to walk away from a challenge, a dare, a fight, an unhealthy relationship or destructive friendship. The goal is to teach them to recognize for themselves that sometimes a few minutes of fun can result in a life time of consequences. The trouble with trouble, really is, that it starts out like fun.